School and university branding can be a tough thing to get right. There are a lot of different elements to consider and a lot of different people to please. But when you have a collective vision that comes through in your branding, it can do the trick and please everyone, honestly you can please everyone, well mostly. So the next 21 examples of education branding will show you some great ways in which you can brand an education institute. The Royal Grammar School in Newcastle City Centre already has tonnes of heritage and history. Expressing this and the main core messaging of ‘Freedom to create their future’ is done brilliantly throughout. Using the logo crest shape, colours, tone of voice and big bold text, the visual language is set and features throughout the visuals. Bring this all together with imagery that captures real life in a unstaged fashion, you have a successful brand and visual style that will influence the community it is exposed to along with its students. 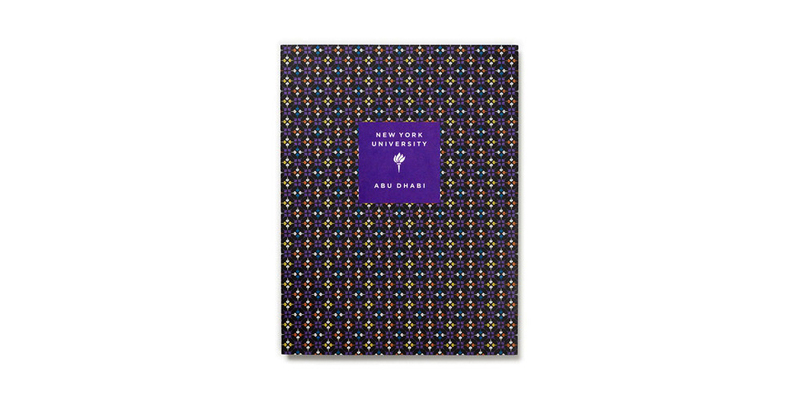 New York University needed a brand that would bring with it the strength of New York University as a brand name, but connect culturally with Abu Dhabi and the Middle East. Using the torch motif that is used in the NYU branding and rotating it. It became a pattern with middle eastern relevance. This was combined with a colour palette derived from the Abu Dhabi brand standards to breath life into the visual style, which was applied to many different elements such as brochures, posters, emails and catalogues. With culture becoming more and more relevant, with the ability to fly across the world to go to University without batting an eyelid. It is important for any sector not just the education sector to not get left behind and stay in touch with a world as it becomes more and more diverse. 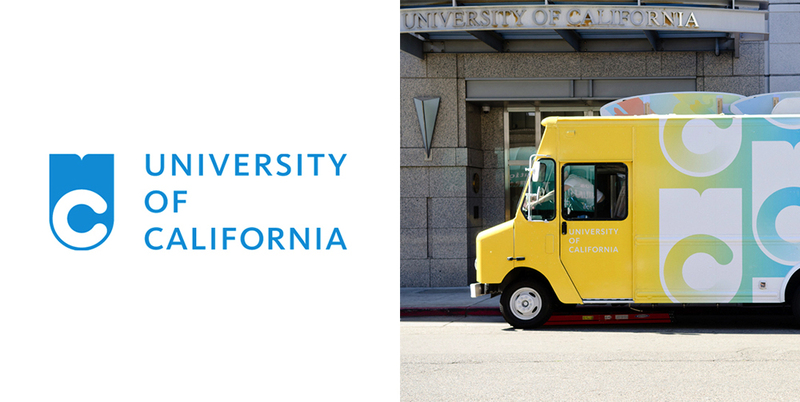 The University of California is a university system that houses ten campuses, the most well known probably being UCLA. Like many universities they had previously used an outdated seal accompanied by some typography. The new design, done by an in-house team is a breath of fresh air, using bright colours and reads as UC although it is a little hard to see the ‘U’. This new logo mark is bold and wants to be recognised, pushing away from the common education logo and the simplicity makes it very easy to be applied and recognised in today’s social and digital platforms. This online presence is key with today’s generation of students being heavily influenced by the online world. This University is making brave and bold strides, and they just didn’t think the old branding emphasised that messaging and experience you get with the university. 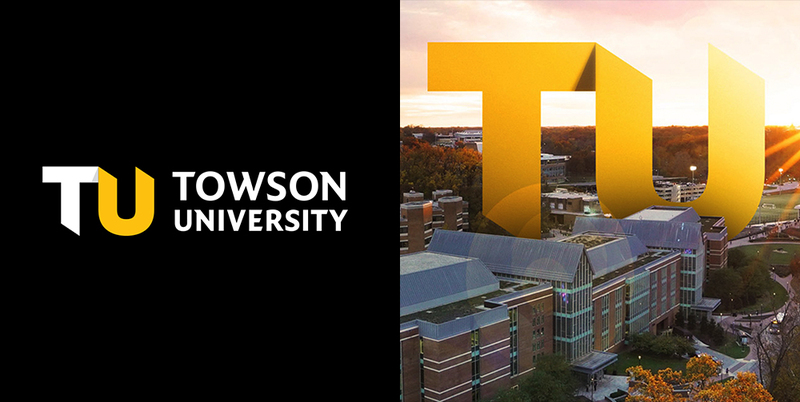 Townson needed a brand to match the momentum the university has, creating a bold new mark that takes inspiration from the Maryland state flag (the state Towson is located), and the way the letters connect point to the universities values. This was the first time in 20 years the university branding has been redesigned and it is no easy process. 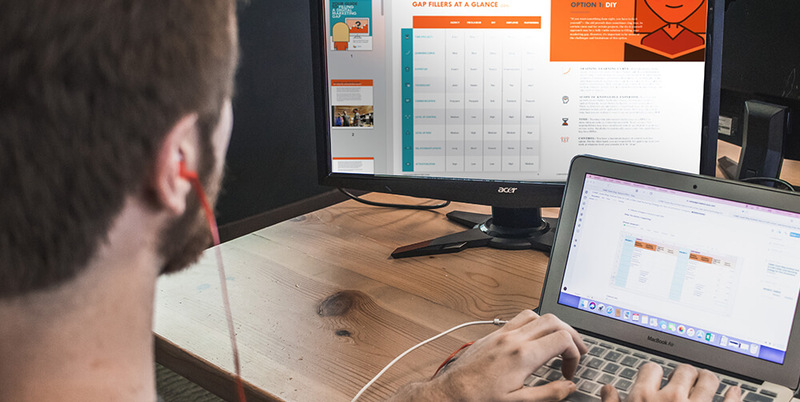 It is a long process to filter through new branding and with many different facets of a University, this process is normally extended, but with a considered approach it can really bring out the best results. 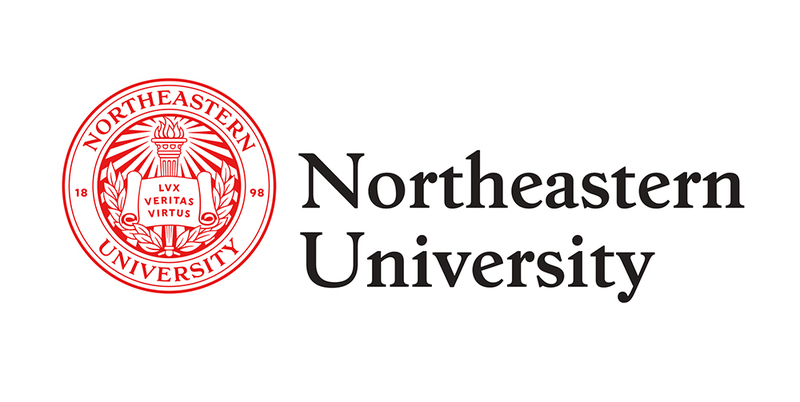 Northeastern University was another brand that wasn’t sure whether or not an old seal was still relevant in today’s digital world. But this rebrand does a great job of updating the seal and introducing additional identity elements to work alongside the seal to bring through the university’s heritage and history into this new visual style. The application of the brand using the big capital ‘N’ with beautiful cinematic images enhances the brands modern appeal to a new generation of students. Northeastern has created a super flexible brand with the ability to be used in any situation. But it is important to have brand guidelines, so with this great reach, the brands visual style does not get diluted or compromised when being applied. 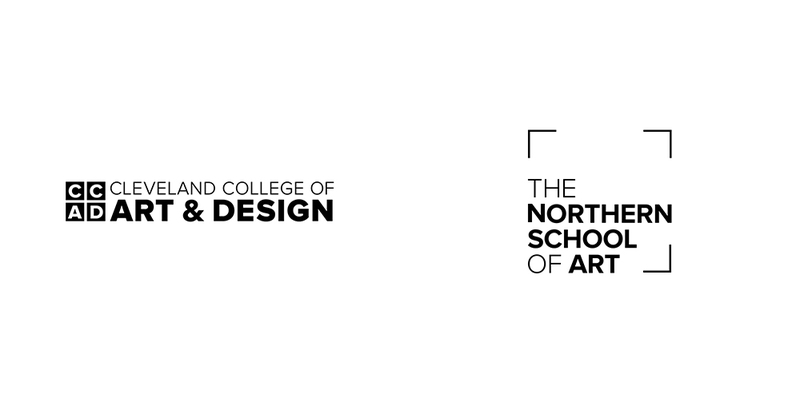 Cleveland College of Art & Design was renamed to the The Northern School Of Art. They wanted to reflect that they are a specialist art school and considering their are not many specialist schools of this kind remaining in the area, using the whole of the ‘North’ is a nice touch, it also points to the vision the school has, wanting to become a leading provider of an ever increasing creative workforce. This goal is reflected in the new brand and its vision, as the creative sector is thriving The Northern School of Art has positioned itself as being at the top of its game with only one way to move forward, being upwards. Another reason for the rename was that ‘Cleveland’ as a county name hasn’t been used for more than 20 years and has lost its relevance with a new generation of students. 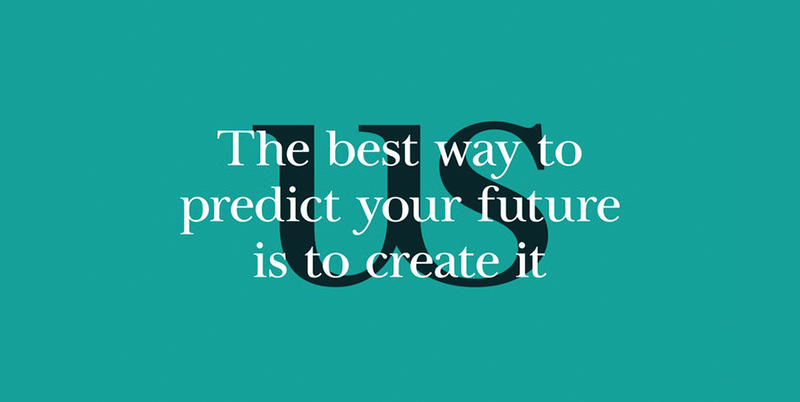 The University of Sussex’s first Vice-Chancellor, John Fulton, urged the University’s students to direct their studies towards making the future. This branding messaging has been brought through into the new visual identity. 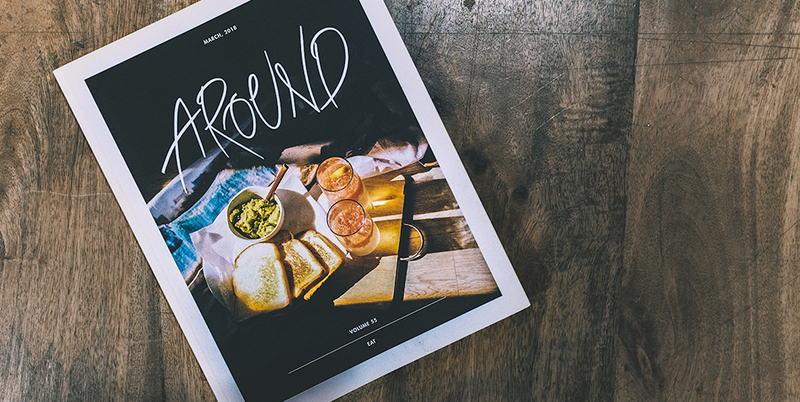 Inconsistency can really hurt a brand and can leave it with no personality or story. The new visual identity and messaging re-invigorates the ideals that the University was built on. Giving the brand a consistent messaging system that brings through the history or the brand. Most educational institutes are trying to push the boundaries, whether that be through ground breaking research or trials. 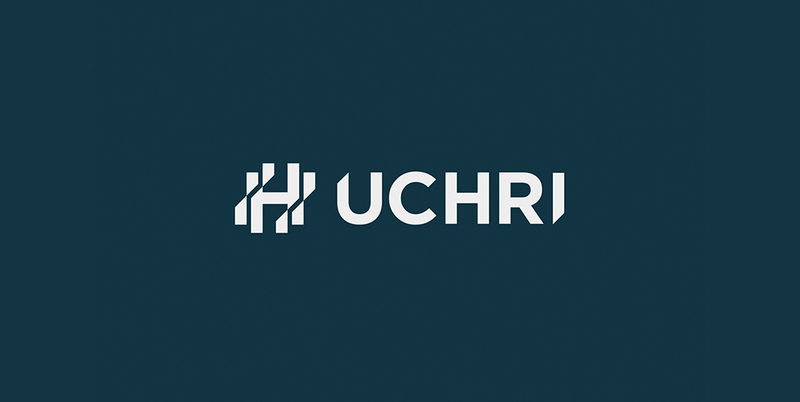 The UCHRI is one of those places and they have a brand to reflect that. The identity has trodden far from the typical collegiate path. Bringing a contemporary style using a stylised H monogram, with jagged edges and many different parts, representing the collaboration, and their industry changing ideas. 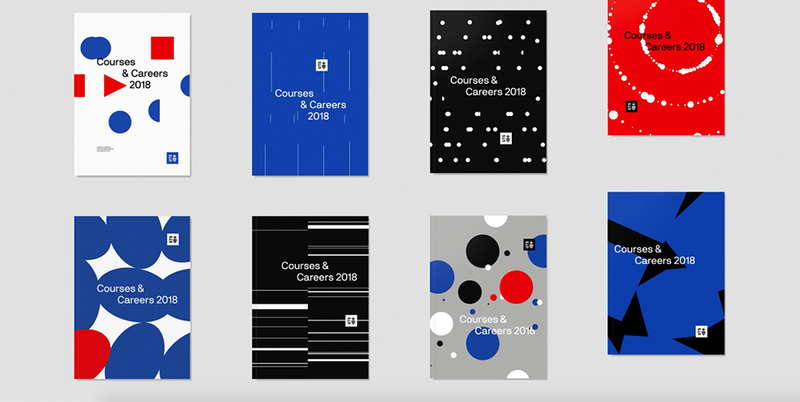 This example of pushing away from the typical design is seen more often now, as institutes are finding their message and story and wanting to reflect that in a cohesive brand identity. Finding your message and story is key, and even more key is finding what separates you from your competitors. Then you can visualise this as a meaningful brand identity. These days learning a new skill can be done solely online, and I am not talking about just learning how to bake some oreo brownies from a short facebook video. With the rise of such platforms like the Open University, Lynda and Udacity, which are all online learning platforms, you can study for a whole new career from the comfort of you desk chair. 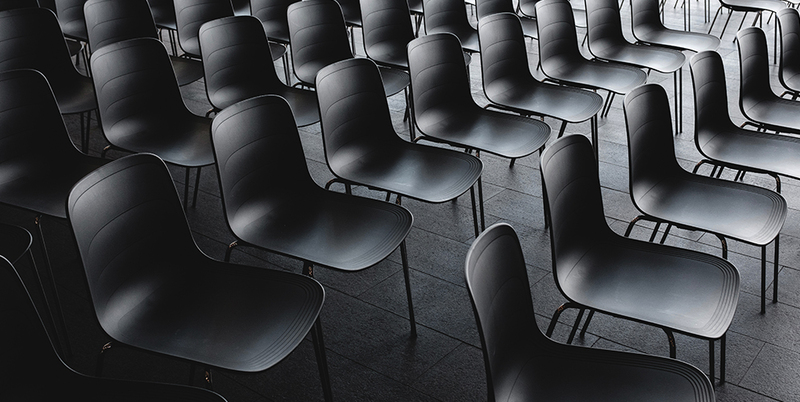 This rise has seen many different platforms pop up, and with that a new style of identity than the typical education institute. 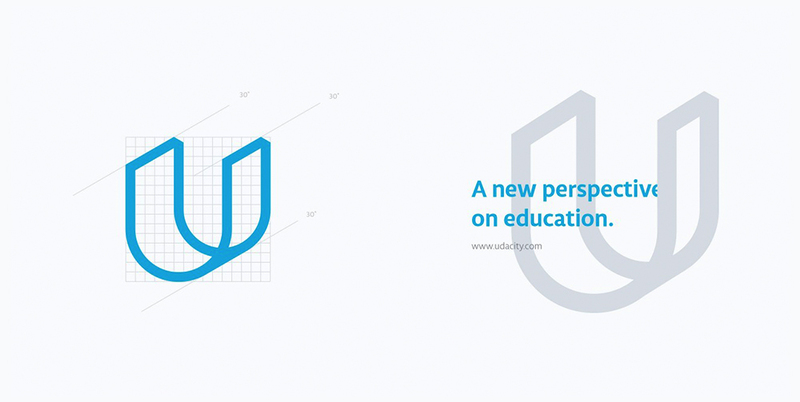 Udacity is one of those who have brought this new perspective to education with their visual identity. Overall they have a more tech company feel than an education company, bringing this non-traditional look in a clean, simple and professional way makes it user friendly and super easy to use online. This style in my opinion fits perfectly in today’s loud online world. 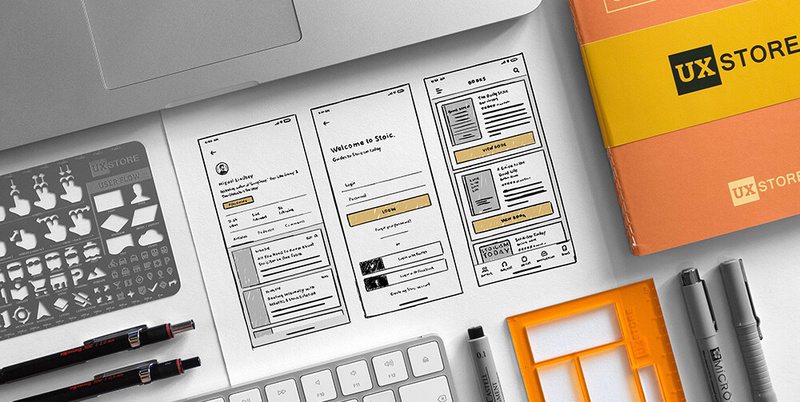 It makes everything simple which has an effect on the user, hinting that learning a new skill can be as easy as your interaction with the brand. 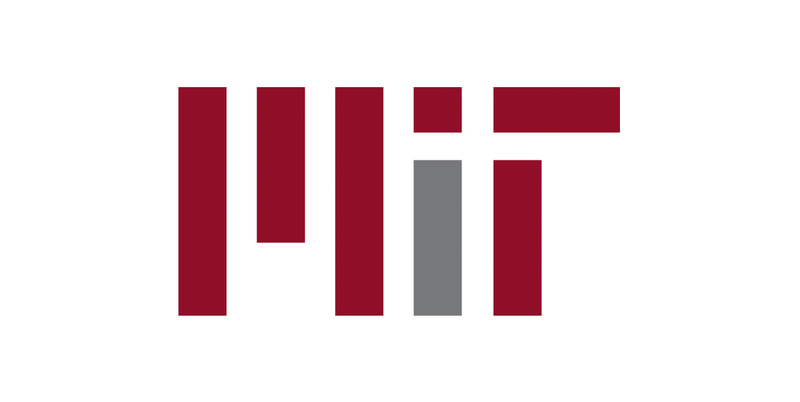 MIT is another institution that really pushes the boundaries when it comes to visual identity. I definitely think the logo mark itself is like marmite, you either love it or you hate it. But when you have such a reputation in producing some of the great minds in your specialist fields, then you have to be right on the edge with an identity that can impress or baffle. The application of the identity is what wins me over, from subtle colour changes to the logo mark on the website as you get into different sections, to the heavily typographic style used. I think it all fits really well. Some may think it is simplistic, but in a world where information is bombarding you on a second by second basis, simplicity and easy to use will always win in my eyes. Along with the MIT main brand they have a research centre called the MIT Media Lab. The research centre is at the forefront of using technology to improve daily lives, from sustainable cities to advances in medical technology. And for its 25th Anniversary they went through a little change. The new logo uses the same grid as the old, but creates a cleaner contemporary feel, the application of the logo through the many different research groups in the Media Lab is brilliant. Again utilising the same grid to create a group’s own visual identity that ties in strongly with the main brand. It is important to mention that you can really create an extensive brand system that all links and works well. 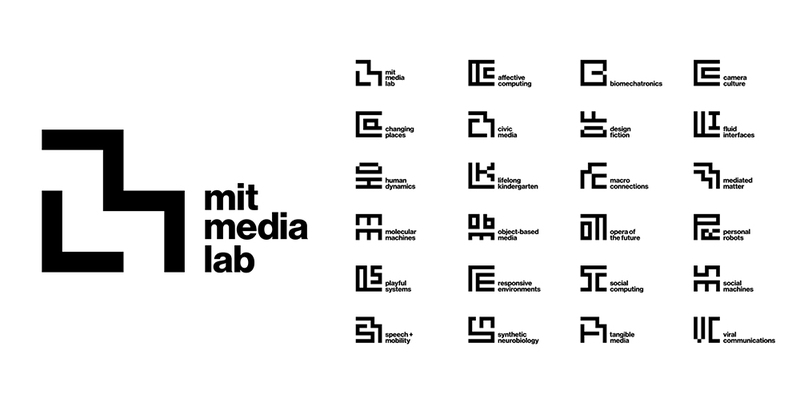 You have the main MIT logo, which looks totally different to the Media Lab’s logo but still feels somewhat connected, and underneath the Media Lab’s logo the same style is used for each research group. Now you may not be as big as MIT or the Media Lab to start doing multiple visual identities, but it is worth considering this type of brand architecture. Especially in an educational institution, which has many different cogs working the big machine. Are they all saying the same thing, or do these cogs have their own message and story that could have its own visual style. Udemy is another online learning platform that I have used myself. 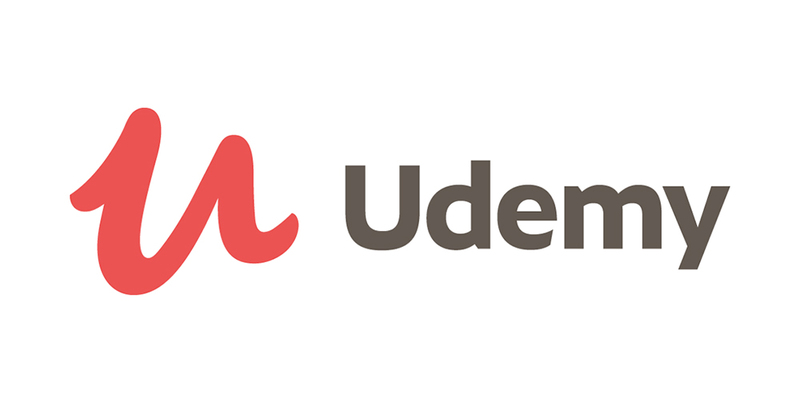 Udemy’s rebrand has taken a totally different approach to Udacity which I talked about earlier. They have strayed away from the tech look and went for a more personal approach. This personal approach is always something that is strived for when you are an online based business. The human connection is not there so you need to manufacture that feeling somehow, and the script font does that well. The new script ‘U’ monogram almost looks like a teacher grading work. Although the red makes it look as if you are getting it wrong. Considering the old brand used green I am not sure if they would have been better sticking with it, but there could be a reason behind it. Having a personal touch in an online world is very important. Consumers are wanting to be looked after and want to be able to put their trust in your brand, so a personal connection is key. 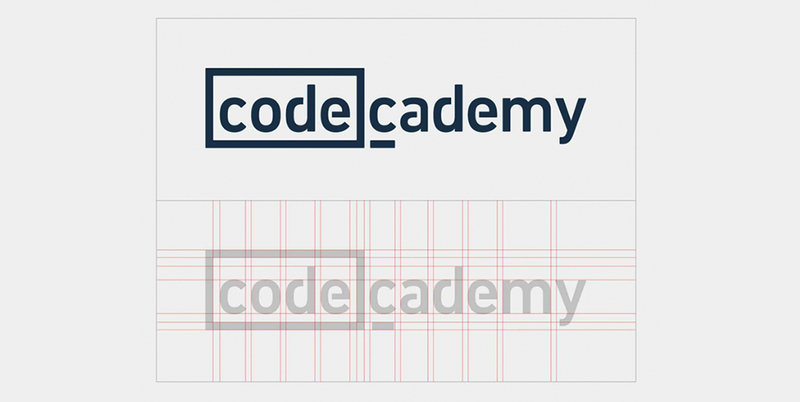 Codecademy is the top online learning platform for learning about code. With millions of users sharing and learning together they have a pretty specific target market, coders and people wanting to learn code. This pretty specific market (anybody who is in the industry is probably looking at this shouting at their screens saying this isn’t specific at all, but bare with me, I am just making a branding point) allows codecademy to base it’s visual identity on code and only code, other markets may not understand the brand but people who are looking for this type of thing will. Which brings me onto my point, do you have a pretty specific target market within education? Well if you do it’s worth thinking about delving into that for your visual identity, its your story, it’s who you are, so why not build a brand that represents that. This brand was the result of a merger of two colleges. They wanted to represent a bold step into a new era and become the sole choice for further education in the area. The brand mark reflects this merger supporting and cementing their future. The bright bold colours only help the vision of the brand. 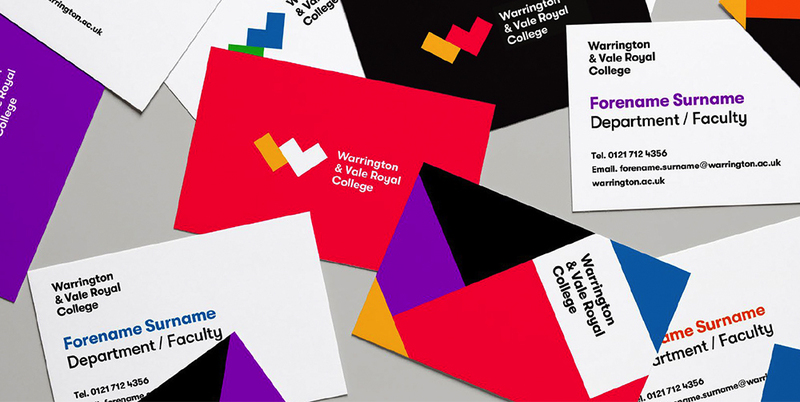 The application of the new visual style runs through all media, on the website, printed materials and stationary, The use of brand mark shapes and bold colours are exciting and intriguing for potential students. Bringing a more modern feel to the education sector I think is key to connect with new generations. But that doesn’t have to mean taking your branding totally out there. It can mean a more considered approach, thinking more about updating rather than overhauling. New generations find universities, schools and tuition in news ways. Online for example, so having an online presence is key and having a brand that is capable of being applied and recognisable online is even more key. 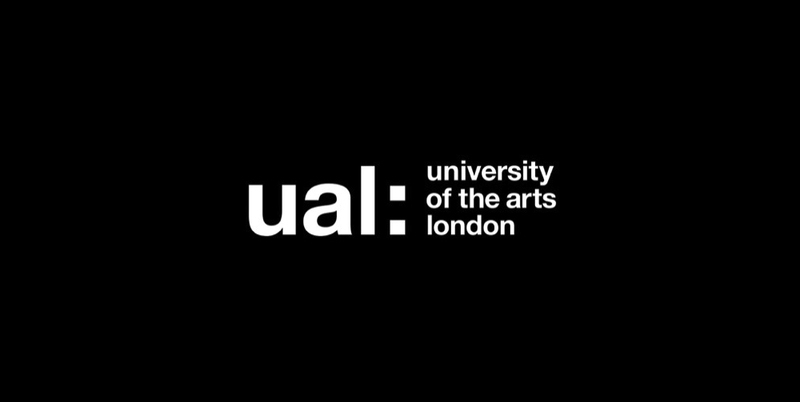 The University of the Arts London updated the brand with a logo that contains an abbreviation on their full name, ‘UAL’, this allows the brand to still be recognised in a smaller screen based online world. Connecting with students both through printed materials and online ads. 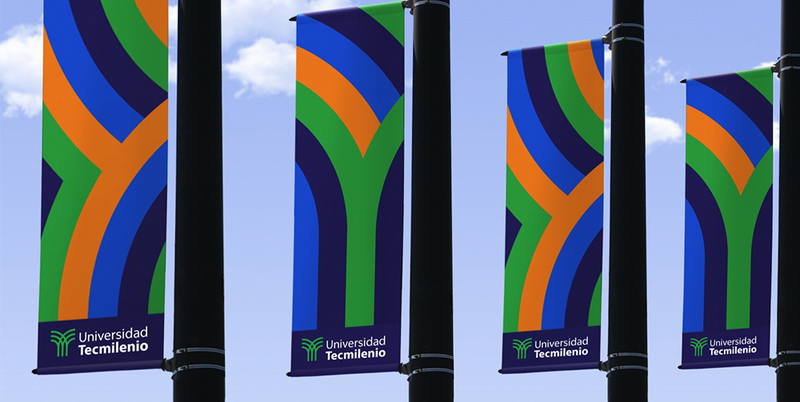 Tecmilenio’s unusually flexible program is all geared to students happiness and fulfillment. The brands logo mark embodies this perfectly, each individual on their own path, moving towards the same goal of success or moving forwards. The old visual style looked very industrial, not very accommodating or friendly, which when you are trying to push the happiness of your students, doesn’t really fit well. The new brand has a softer more approachable look but still links back to the old brand. 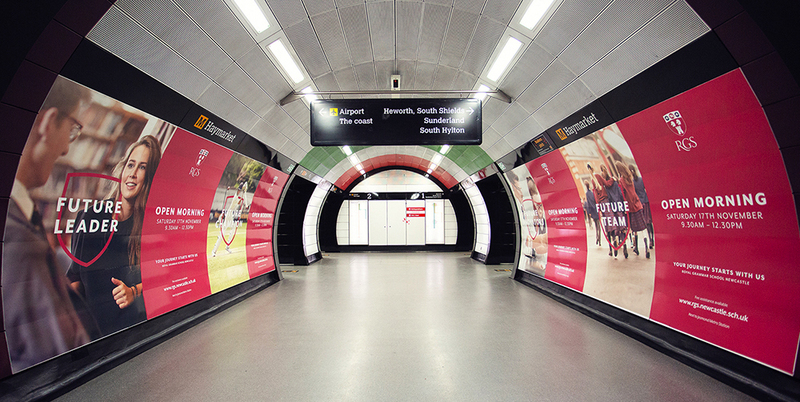 The application of the brand also carries through the idea of being on your own path and uses bright brand colours and subtle directional hints of moving upwards or forward. I feel like there is a need for some messaging to cement the brand values of being flexible for students. I have talked about how some school branding or university branding is moving away from seals and moving to more contemporary visual styles. Northumbria have managed to do both. 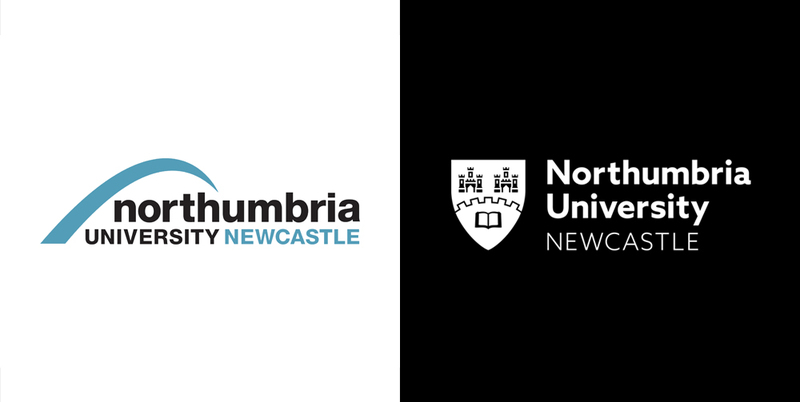 They have moved away from the old bridge icon and moved back to Northumbria’s coat of arms and simplified the design bringing the more contemporary feel. This will be coupled with the #TakeOnTomorrow branding messaging celebrating the University’s history and understanding the need to move forward. 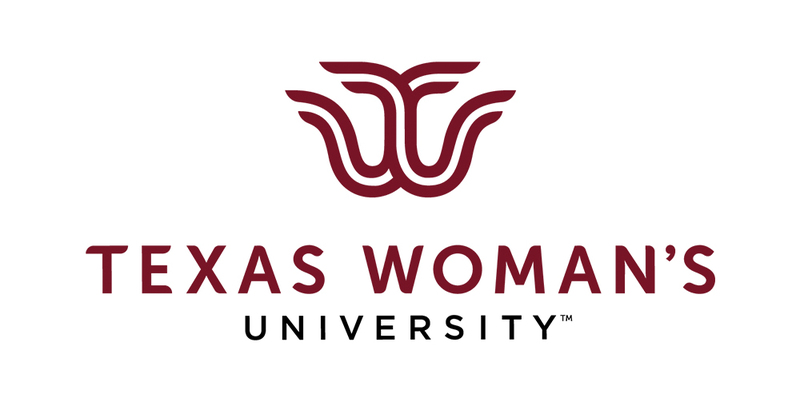 TWU is historically known as a woman’s university. They do accept males onto all programs but they are well known as a woman’s university. The new brand has a more light approachable feel, the monogram represents a fountain located on campus and neatly forms a ‘TW’. They partner this with a tagline of “Boldly Go” which is an expression of the values the University holds dear, to educate, inspire and empower students. Ditching the old plain logo, which did the job if I am being honest. This University is building its visual style through their values and story. UTS have took pulling through their brand story to a whole new level. They have used a data visualiser to create their visual style. The data which is unique data about its faculties, students and research has been input and the visualiser has created imagery that UTS put on all their materials. You could say the brand has been created by the University itself and not just a design team. This is a really clever idea, but this doesn’t mean everyone go off and find your nearest digital data visualiser and just use that as your brand style. But the idea of bringing through the very lifeblood of your company, and in this case the students and people who work there into brand is key to connecting with your target audience. 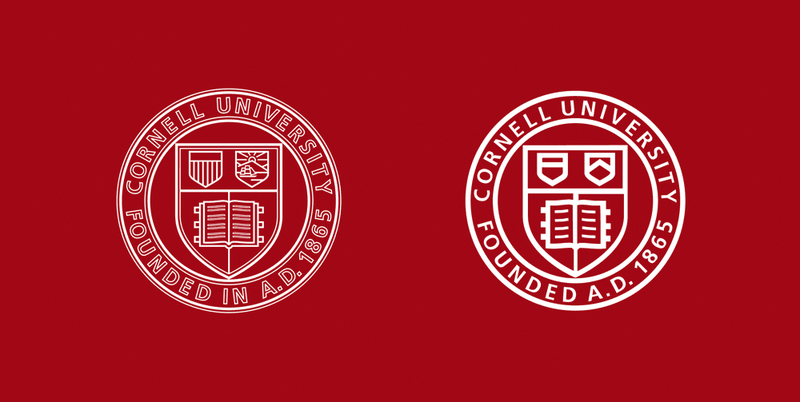 Cornell University is another university branding that is in the dilemma of having an old seal and needing to use it in the new digital world. Rather than totally overhaul the seal, they have come up with a compromise, having a ceremonial use seal and a simplified version. It is another great example of understanding the importance of your history, along with the importance of keeping up to date with an ever changing digital world. I don’t think this way of thinking is new, but I think the need to change the slightly outdated ways of education branding is a must. With new generations coming through, being totally influenced by the digital world, appealing to them is key. Education and especially University branding can be complicated in the fact that their is normally so many facets where the identity must be displayed. This can sometimes mean a overcomplicated guideline to how to use the logo or a very inconsistent approach to how the identity is used. 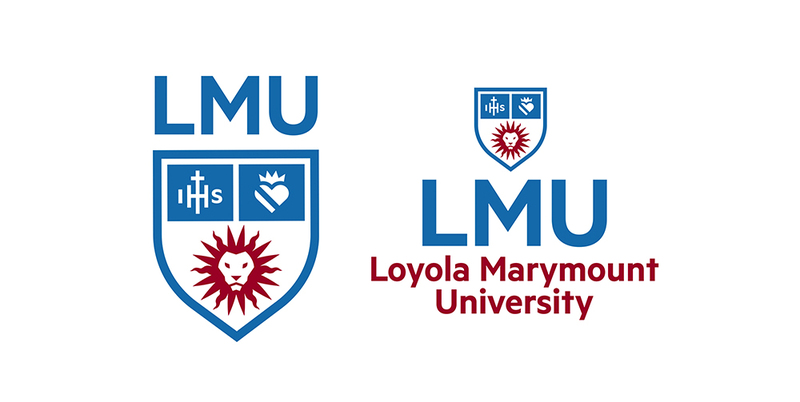 The Loyola Marymount University rebrand has a brilliant balance of consistent usage and not over complicating the system. Using 3 main elements in every iteration of the logo, creates a coherent brand. This type of change can be a daunting task but if it is well thought out and executed properly the results will speak for themselves. Hopefully all these examples have given you some good ideas and inspiration on how you can bring through your story into your School or University branding without losing your heritage. These examples also show how the sector is changing from an old design method with seals and inconsistent brands, and how they are moving into a new era, which the online world is key and the ability to attract and engage a new generation of students is a massive part of education. What do you think about the school and university branding above? Would like to speak to us about your school or university brand get in touch.